Shirawobi is the name of a Haiku magazine and an association of Haiku enthusiasts that has existed for fifty years in Shimane Prefecture, Japan. The following Haikus are written by the members of the Shirawobi group, selected by its chairperson Mr. Masafumi Nio, and rendered into English by its web-site editor. The words in the single brackets are Haikus in Japanese and those in double brackets are the authors' names. Haza is the temporary wooden bar on the field for drying harvested plants. such as rice, soybean and so on. we travel by the R.V. *Matagi is the group or person whose profession is hunting 、living in the snowy mountain area in northwest part of Japan mainland. *Sato-kagura is the sacred music and dance to dedicate to their local Shinto shrine, performed by the local people. * Mogari-bue is the sound that winter gale makes when it goes through dead bamboo or wooden hedge. *Seimeisen: line of Life is one of the line on palm . They say 'The person who has long line-of -Life without break will live long'. * The flower of Ume:Japanese apricot, has been appreciated by Japanese, from ancient times; because it is pretty,and blooms in early spring ahead of the warm season. * "Tax payment term" in Japan is from February 16 to March 15. 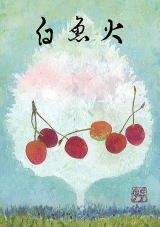 * "Hana-mi" is to go to see cherry blossom and a kind of picnic. "Hana" means cherry blossom and "mi" means viewing. * "Hana-mushiro" is a straw mat that they spread under cherry tree to view its beautiful blossoms. * "Tonekko" means one-year-old-horse, and is the Hokkaido dialect. * "Tsuchihuru" or "kosa"is the atmosphere that contains yellow sands from Gobi Desert, in spring. * There are two kinds of style for dohyo-iri:sumo-ring-entering ceremony, performed by sumo champion: yokozuna,which are Unryu-style and Shiranui-style. Now all two sumo chanpions are from Mongolia in early 2008. *"Tanada" is a terraced rice field in mountain area. 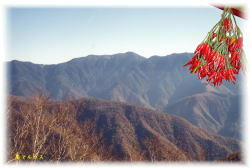 *Manmaku is the curtain for typical Japanese ceremony ,with which surrounds the place . In this case, writer is watching the yabusame in spring. *Hatsu-ne is the song of Japanese bush warbler in early spring .It is not fine then. *Showa Memorial Day is a national holiday when Emperor Hirohito was born, April 29. * "yamase" is a cool, onshore, easterly wind in the Sanriku district of Japan in summer. That often brings bad rice harvest. *"Yamaboushi" is a kind of dogwood. *Hearn: Patrick Lafcadio Hearn:Koizumi Yakumo,is a novelist who lived in Japan with his Japanese wife Setsu, and wrote many novels in English based on Japanese folktales. * A weed and medical plant:Jyuuyaku, is called Dokudami generally in Japan . and has a tragic folktale about a young wife. * Bon Festival dancing is held at the community's square at the night of the Bon Festival days in July or August. The dance musics are traditional folk songs, and they form a large dancing circle that turns around the square. *pickled ume:Japanese apricot, is dried up once in the air, in the middle of summer. * Shuusen-bi is the anniversary of the end of the Pacific War: August, 15 . *Yukemuri means the clouds of hot-spring's steam. * In Japan, the cremated ashes are gathered up and put into an urn by the family, relatives and friends. At that time, they use their recessive arms with big chopsticks instead of their dominant arms, so that the sorrowful incidentr must be unusual.